Tesco to trial selling vinyl, starting with Iron Maiden | What Hi-Fi? The UK’s biggest supermarket chain will be selling Iron Maiden’s latest studio album on vinyl later this week, with the possibility of adding more vinyl to its aisles in the future. 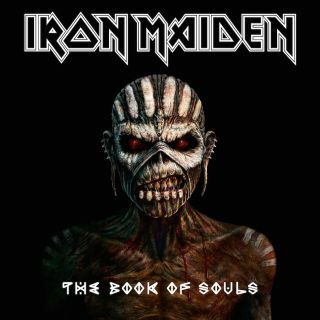 Iron Maiden’s first studio album in five years, The Book of Souls, will go on sale on vinyl in 55 Tesco Extra stores around the UK when it’s released on Friday 4th September. Tesco has been selling record players in its largest stores for the past year, so giving "customers some new vinyl to play on those decks seems like the logical next step”, according to Michael Mulligan, Tesco music buyer. The triple-vinyl LP will go on sale for £24, with Iron Maiden co-manager Dave Shack saying it will offer “six sides of premium 180g vinyl and some unique, quite spectacular artwork across the whole package”. Tesco will be running a promotion on the band’s own-brand Trooper beer alongside the record, selling a bottle for £1 when bought with the LP or CD. Yes, Iron Maiden have a beer. Compared to the 55 stores selling vinyl, the CD version will be available from 850 Tesco stores around the country. With vinyl album sales hitting 1.3m in 2014, the highest since 1995, and with sales in 2015 already up 69%, it’s a timely move by Tesco. In 2014, CD sales dropped 6.5% and downloads dropped by nearly 9%.